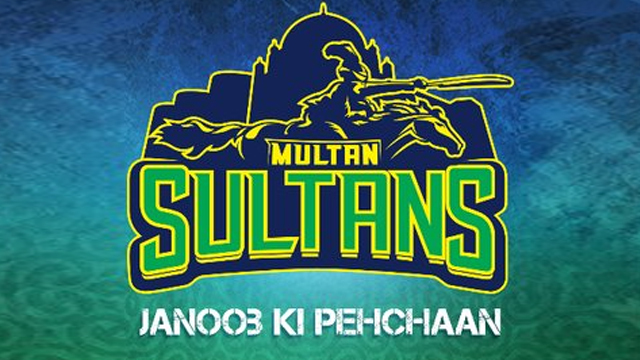 Multan Sultans has recently released its fan anthem song "Janoob Ki Hain Yeh Nayi Pehchaan, Nam Hai Jin Ka Multan Sultans" and the fans are loving it. The rapper Rijas Mohsin from Bahawalpur sung Multan Sultans fan anthem with really heart pumping and enthusiastic lyrics. He is a local artist with a very sensational voice and currently a part of Sultans group. The lyrics "Gaarr thay jhanda tera h maaida’n, teri hi udaan hai tu hai aasma’n, sab sey oonchi hai ye teri parwaaz, Tu hai Sulta’n tu hai Multa’n, rokey tokey kon hai ye kis ki majaal, tu hai shahee’n terey apnay jaha’n, nayi dourr naya dor naya hai muqaam, tu hai sultan’n to hai Multa’n " involve hopes, expectations and the best wishes for the Multan Sultans. This motivation can lift up the morale of Multan Sultans players. Clarifying about the idea behind the song, Rijas told, “My friend Adnan asked me to approach immediately and asked if I could comprise any type of rap on any topic?“, he replied that he could. Asking about the reason about that question Adnan said, “There is a new team going to be introduced in the upcoming season of the Pakistan Super League, a number of singers have made their attempts in order to prepare anthems for the different teams like Lahore Qalandars etc.” He said that Adnan gave him the idea to compose a song on Multan Sultans team, and he started working on it. Entailing about approaching towards the Multan Sultans team, he said that they were helpless and nothing without the professional studio, He shared his problems in front of Adnan and he approached Mr. Hammad: dealing Multan Sultans, through social media and requested him to check out their work. Rijas told that Mr. Hammad liked their work and appreciated their efforts. Then Mr. Hammad meted them and gave them a scenario that is #SomeWhatSuper.